New construction- – waterfront on Back Sound! 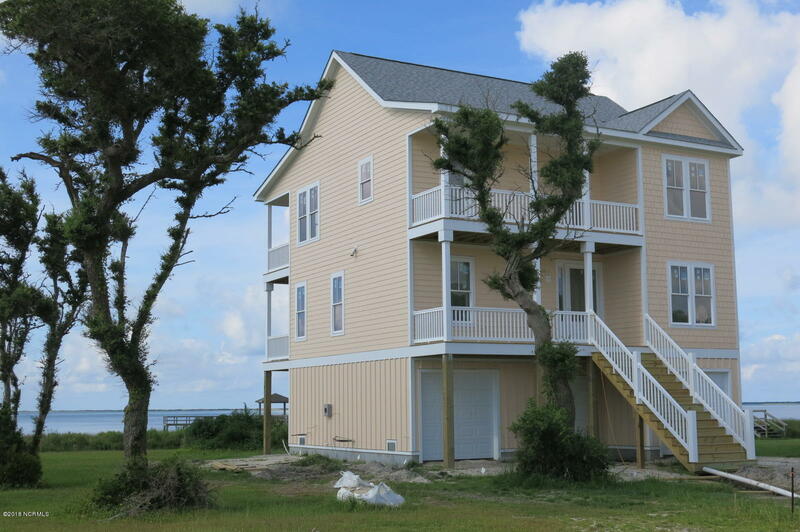 Embrace the island lifestyle with this beautiful waterfront cottage in Harkers Island’s newest waterfront subdivision. Don’t spend another minute away from the coast! It’s time to make your coastal dream a reality! The cottage features a reverse floor plan for incredible water views, plus an elevator, front and rear porches/decks, fireplace, wood floors in living areas, tile in baths, carpet in bedrooms. Located on Back Sound. You’ll enjoy beautiful sparkling water, a sandy beach, southern exposure, wonderful views of the Cape Lookout Lighthouse, sea breezes and gorgeous sunsets. Private docks are allowed on waterfront lots with proper CAMA permitting. Close to marinas, restaurants, public boat ramp, Beaufort and Cape Lookout National Seashore!